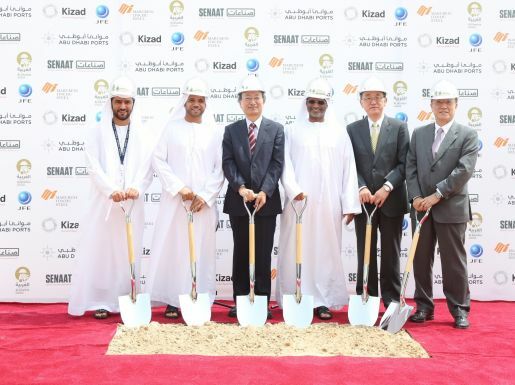 17 April 2016, Abu Dhabi, UAE – Al Gharbia Pipe Company (“Al Gharbia”), a joint venture between Senaat, one of the largest industrial holding companies in the UAE, and two of Japan’s leading companies in the steel sector; JFE Steel Corporation and Marubeni-Itochu Steel Inc. (“MISI”), broke ground today in Khalifa Industrial Zone Abu Dhabi (Kizad). 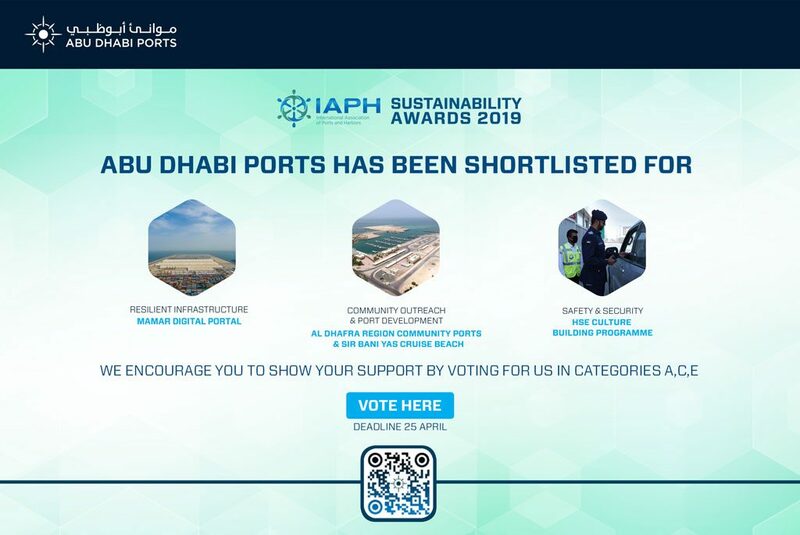 Kizad is owned and managed by Abu Dhabi Ports, the master developer, operator and manager of ten non-oil ports in the Emirate. Al Gharbia will be the UAE’s first plant capable of manufacturing large-diameter, thick wall, sour service, longitudinally welded steel pipe to service the oil and gas transportation sector, with the infrastructure and construction sectors as secondary markets. The plant will be built on a 200,000 square metres plot of land in Kizad and is expected to formally launch operations in 2018. Once fully operational, production capacity is set to reach 240,000 tonnes annually, of which around 40 per cent will be exported to neighbouring markets in the GCC and greater Middle East, as well as North and East Africa through Khalifa Port and the excellent road network that the UAE’s infrastructure provides. Al Gharbia is the first industrial venture between the UAE and Japan to take place in the UAE, and has been strongly supported by the Abu Dhabi-Japan Business Promotion Initiative of the Japan Cooperation Centre for the Middle East. The initiative supports Japanese companies that invest in projects to strengthen ties between Japan and the UAE. Senaat holds a 51 per cent stake in Al Gharbia, whilst JFE Steel Corporation and Marubeni-Itochu Steel Inc hold 27 per cent and 22 per cent respectively. In August 2015, Al Gharbia awarded its EPC contract to a consortium formed by SMS Group and Larsen & Toubro Limited, who will be responsible for constructing the complete plant on a turn-key basis. In February 2016, Al Gharbia announced the signing of a loan agreement with a group of Japanese and Emirati banks totalling US$185 million. The Japan Bank for International Cooperation (“JBIC”) committed US$111 million, whilst Sumitomo Mitsui Banking Corporation (“SMBC”), Mizuho Bank (“Mizuho”) and National Bank of Abu Dhabi (“NBAD”) will provide the balance of the funds. SMBC acted as financial advisor on this transaction. With a majority stake in Al Gharbia, Senaat is committed to growing the industrial sector in Abu Dhabi and supporting the implementation of Abu Dhabi’s 2030 Economic Vision. Total investment in the Al Gharbia Pipe Company is expected to reach AED1.1 billion.